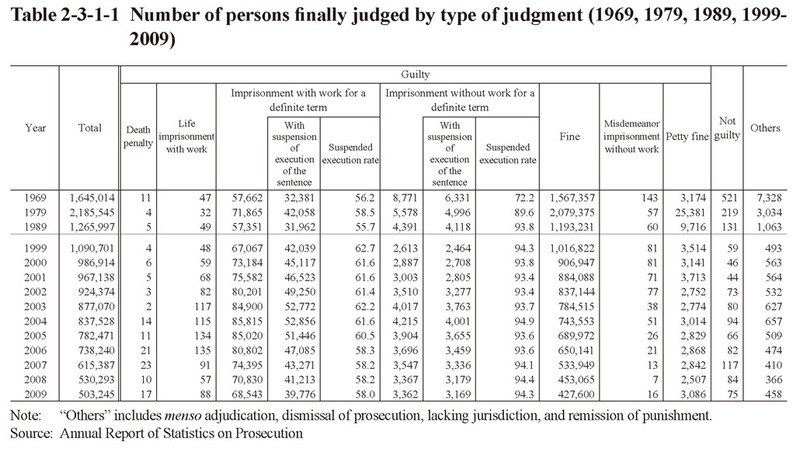 Table 2-3-1-1 shows the number of persons finally judged by type of judgment. The number continued to decrease every year from 2000 on and was 503,245 (down 5.1% from the previous year) in 2009, a decrease of 50% over the relevant 10 years. That decrease was largely due to a decrease in number of persons finally judged for violations of road traffic related acts. The number of persons finally judged as not guilty in 2009 was 75, accounting for 0.01% of the total number of persons finally judged.